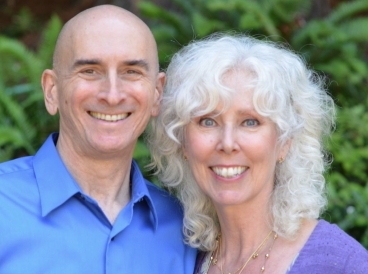 Saniel Bonder and Linda Groves-Bonder are spiritual adepts, teachers, counselors, and healers. They provide personal services such as residential retreats, personal sessions, and apprenticeships for select clients, live workshops and telecourses open to the public, and a variety of publications and online courses through our webstore. For the greatest enjoyment and mutual benefit of everyone involved, Saniel and Linda ask their clients and apprentices to observe certain protocols. We request that before you elect to do any work with them, you read the two documents below, Protocols for Participation and Basic Policies, and understand them clearly. We hope you will partake of the offerings these remarkable teachers have made available to you. We welcome you to follow the guidelines offered in these documents with care, for the sake of the most optimal benefits Saniel and Linda's offerings might help you realize.